Hummel figurines are antique collectibles produced by the W. Goebel Pozellanfabrik in Germany. These figurines were based on the drawings of M. I. Hummel and first made available in 1935. True Hummel figurines are widely regarded for their superior craftsmanship, as they were made according to the strict quality control procedures of Manufaktur Rödental and the Convent of Siessen. Hummel figurines vary widely in their value, with some going for well over $1,000. All genuine Hummel figurines have certain authenticity markings which you can use to accurately identify and price them. Examine your Hummel figurine for marks of authenticity. 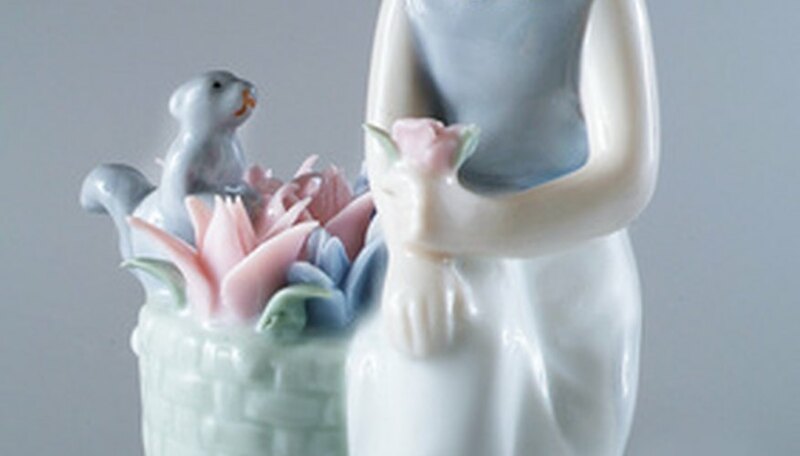 Check for the signature of Sister M. I. Hummel usually found at the foot of the figurine. When Sister Hummel and Franz Goebel first teamed up to make the figurines, it was agreed that each one would have her personal signature as a stamp of approval. Check your Hummel figurine for a Goebel or Manufaktur Rödental trademark stamp on the bottom. This trademark has gone through multiple transformations over the years, but it is something that every true Hummel figurine will have. Consult M. I. Hummel’s trademark identification guide available on their Website. Consult an appraiser for an outside opinion about the value of your Hummel figurine. Request references from appraisers. Use personal recommendations and choose based on credentials and experience. Antiques-prices.com also has an excellent guide that gives accurate price ranges for each figurine model. Be sure the appraiser or guide you consult has current and accurate information. Like many antiques, figurines change in value over the years. Don’t have your figurine appraised by the same person who plans to buy it. Be sure to store your Hummel figurine in a mild, dry climate to avoid deterioration. How do I Identify a Marking on the Bottom of a Figurine?